Good news! David Beach has accepted our invitation for him to become the 7th member of our F5J USA Tour Advisory Group. We unanimously agreed that David would be an awesome addition to our group. David has been very active in the F5J USA Tour this year. Not only did he organize and co-CD the RISC Red Rooster F5J in April but he flew in the Team Selection event in Denver and soon thereafter accepted the role of Team Manager for the USA F5J World Championship Team that will compete in Slovakia in 2019. David hails from New Hampshire and will help provide the Tour with excellent representation for the growing eastern region’s events. Thank you David, we really appreciate your willingness to join us. The 12th F5J USA Tour contest for the 2016-17 season was completed: F5J in Visalia #2 (CA) hosted by CVRC. A total of 15 pilots completed at least the minimum 4 rounds in the one-day event. Results, pictures and more are available here. F5J USA Tour standings have been updated to incorporate this event’s scores. The 11th F5J USA Tour contest for the 2016-17 season was completed: Beat the Heat F5J (Mesa AZ). A total of 16 pilots completed at least the minimum 4 rounds in the one-day event. Results, pictures and more are available here. 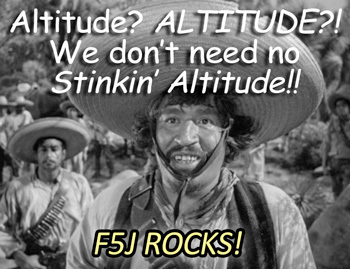 The tenth F5J USA Tour contest for the 2016-17 season was completed: F5J in the Rockies (Denver CO). A total of 15 pilots completed at least the minimum 4 rounds and flew both days. Results, pictures and more are available here. August was a busy month for the F5J USA Tour. We had four separate events: Hawaii, New Mexico, Montana, and central California. For results please visit the f5j-usa.com Calendar page and click on the Results buttons for the August events. F5J USA Tour standings have been updated to incorporate the August event scores. The fourth F5J USA Tour contest for the 2016-17 season is completed: F5J in Hollister (Brigantino Park, Hollister CA). A total of 14 pilots completed at least the minimum 4 rounds and flew both days. Results, pictures and more are available here. Applications for the F5J USA Tour 2017 season are now closed as of June 30 per tour rules. We will begin accepting applications for the 2018 season on Nov 1. So now is a good time to review how the season is going and what things look like through the end of this season. Given that this is the inaugural year for the F5J USA Tour the interest and excitement for F5J in the USA has been nothing short of amazing. On the 2017 calendar we have eleven (11) 2-day tour events and two (2) 1-day tour events. Starting in April that’s at least 1 regional contest each month. And August is packed with 4 separate events. The lion’s share of events are yet to come. Each one so far has been a very positive learning experience. 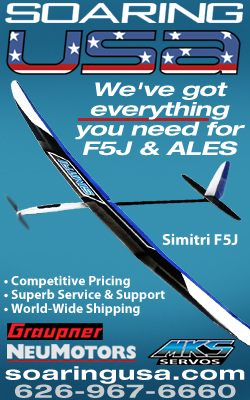 If you have been following the RC Groups “Electric Competition Soaring F5J/ALES/e-soaring” area you have seen more clubs doing F5J events this season. By our count there are ~10 clubs that are either already active in F5J or are just beginning to do so this year. This is great momentum to carry into the second half of this season. So far we have 4 companies that have stepped up to sponsor one or more Tour events: NeuMotors, Flight Comp, Soaring USA, and Soaring Circuits. Six events are already sponsored while two are still open. We are fairly sure a few more sponsors will be added to the list before too long. In January the F5J USA Tour advisory group established a budget for web hosting and software expenses, end-of-season trophies, and shipping expenses to send the trophies to the top 10 tour finishers. 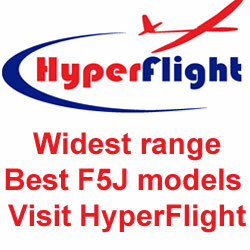 When I (Chris) started the f5j-usa.com website I did not have plans for advertising. However because there were requests to post small ads those fees are now covering the web hosting fees, the domain registration fee, and the software purchased for building the website. So all of the $3/pilot tour fees due from the hosting clubs can be applied toward the trophies. To date we have not collected any fees but will be sending out reminders soon. Any questions let us know. Thanks to everyone so far for your support of the F5J USA Tour. 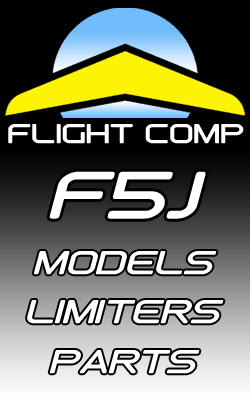 The third F5J USA Tour contest for the 2016-17 season is completed: F5J Open (Visalia CA). A total of 18 pilots completed at least the minimum 4 rounds and flew both days in challenging conditions. Results are available here. Subscribe for announcements and newsletters. Please check your inbox to confirm your subscription to the F5J USA Tour email list. Thanks! 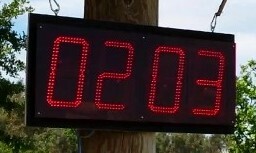 Wish you had a big LED display for your GliderScore F5J scoring system? Look no further! E-A makes a low-cost GliderScore Display Interface board. You build your own display with off-the-shelf LED boards and save hundreds. Excellent user guide, great support! And the latest release now supports a supplemental display of the round and group numbers. NEW IN 2019! For those who do not have time to build a display we have now partnered with a professional building service. Ask for details.